The United States went through a major time of change due to their involvement in the Second World War from 1941 until 1945.In the fashion industry, “The United States had the best access to labor and supplies. However, American fashion relied on Paris for its lead and had never attempted to be an oracle of style [as] mass production was its staple.” (Walford). 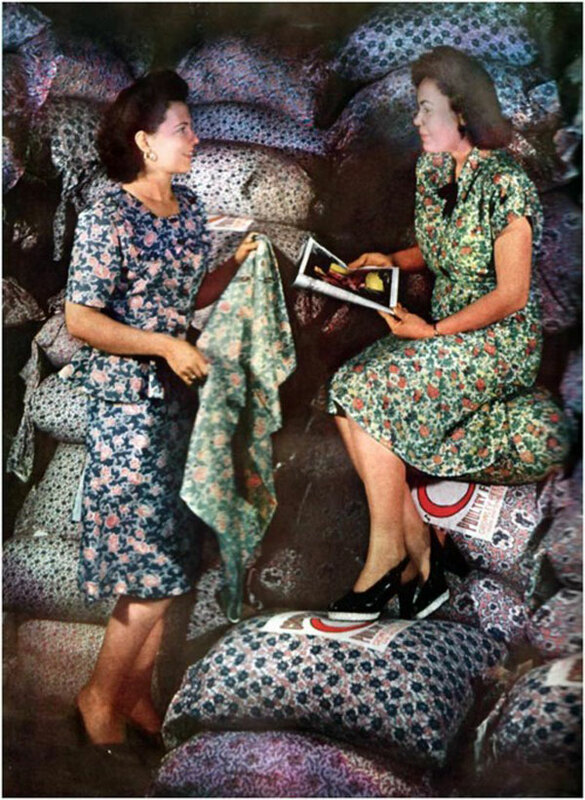 There was hardly any time or money to be spared for the makings of fashionable items as production lines quickly changed to produce only war materials. This made it very difficult for “Fledgling American designers [who] were forced to play safe within the parameters of established fashion [as] originality was not encouraged. 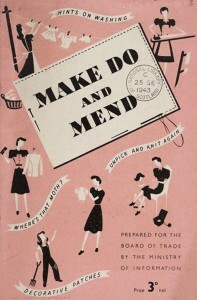 This generally bypassed the issue of critics comparing American to Parisian designs, as had been the case with the post-occupation collections of 1940 and 1941.” (Walford).Due to the lack of new fashion, the “American government propaganda and advertisers constantly reinforced the ideals of beauty and feminine responsibility to keep up morale.” (Walford). This was an important aspect during this time as the war effort not only affected the men who fought, but also the women who were at home being homemakers and taking care of responsibilities bigger than they would have imagined. Therefore, the propaganda produced by the government was helpful in that it encouraged the women to keep making those sacrifices by letting them know that “every yard of fabric saved might mean a quicker route to victory.” (Walford).